Communicators know that influencer marketing seems to be more than a passing fancy. A PRNEWS-Meltwater study of nearly 400 communicators, issued in February, found almost 50 percent of those surveyed said they "use influencers to get out key brand messages." An additional 32 percent said they don't use influencers, but are "considering it." Just 18 percent said they don't use influencers and "have no plans" to do so. 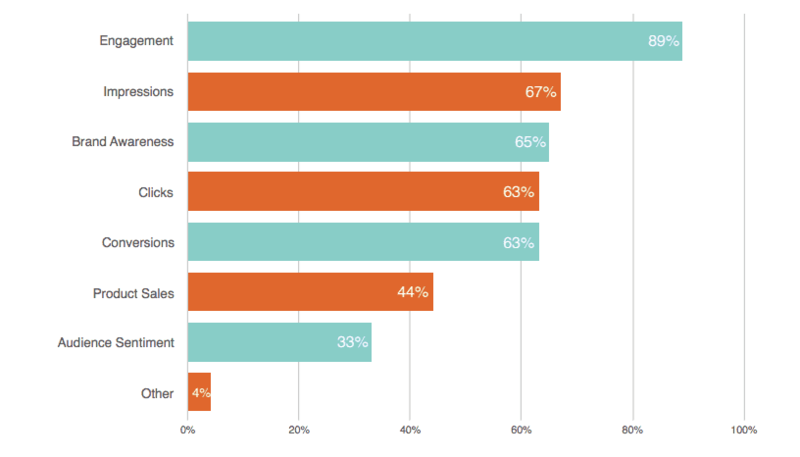 Similar results are contained in another study "The State of Influencer Marketing 2019." Incorporating responses from 197 marketers across across industries and agencies, the new study from Linqia includes takeaways that confirm popular knowledge. For example, Instagram dominates, with 68 percent of marketers responding that it is the most fruitful platform for influencer marketing. Facebook is next (51 percent). Other stats, meanwhile, cement the idea that influencer marketing has gone mainstream: 57 percent said that influencer-produced content outperformed brand-produced content. A signal that measurement is maturing has engagement upsetting impressions as the metric that best gauges success. As the table below shows, 89 percent measure success around engagement, versus 67 percent around impressions. As the boundary between marketing and PR continues to blur, we are reminded that marketing and PR should avoid operating with siloed measurement strategies. 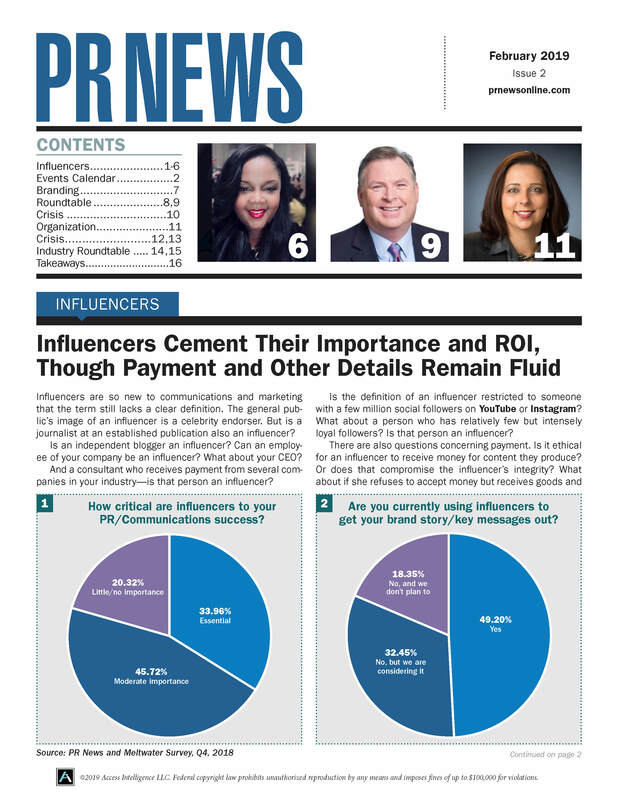 Ahead of PRNEWS' Measurement Conference, April 17-18 in D.C., this report reminds us that correctly measuring influencer ROI and communicating up remains an unrealized opportunity for PR and marketing to be on the same page. Consistent with the findings of PRNEWS-Meltwater survey, Linqia's survey also showed the biggest influencer marketing pain point is proving ROI. 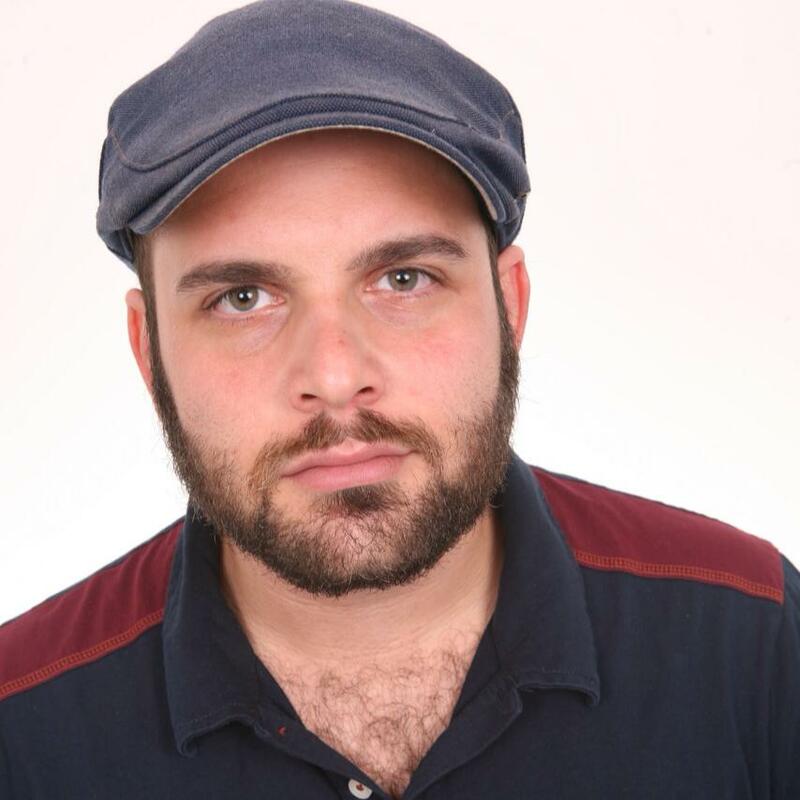 PRNEWS-Meltwater had it at 34 percent, Linqia at 50 percent. These numbers are significant enough to consider proving influencer ROI is an opportunity, not just for marketers, but for PR pros whose job it is to communicate those efforts up on behalf of their marketing colleagues. So what's the issue? What sticks out? Engagement is a tangible metric—in our media space, for example, how far down a page a reader gets and where they drop off is a clear indicator of content's performance. Contrasted with impressions, an entry-point into building out a paid strategy on social, engagement is far more telling. Since impressions measure how many people your content was placed in front of, it's somewhat faulty as a true measure of ROI. That said, a much higher percentage of marketers should employ metrics like audience sentiment, brand awareness, sales, clicks and conversions to prove the success of their influencer campaigns. So why do 67 percent of respondents rely on impressions as the primary metric to measure the success of their influencer marketing programs? Most influencer campaigns live on social—Instagram and Facebook—so it makes sense from a perspective of inbound convenience. Impressions are the first, entry-level KPI that marketers can pay to build a campaign around. The problem is, many marketers seem to be stopping there. "Impressions are a problematic sole measurement of success," says Kelly Stone, senior director of social media at CompTia. "Very few organizations thrive on exposure alone - our jobs are about sales enablement, on-site engagement, content consumption, traffic and so on." Because some of the other metrics for success identified in this study—like brand awareness and audience sentiment— are paramount to a communicator's endgame, it's on us to make sure that marketing measures the success of all campaigns the right way, whether they be influencer-focused or not. 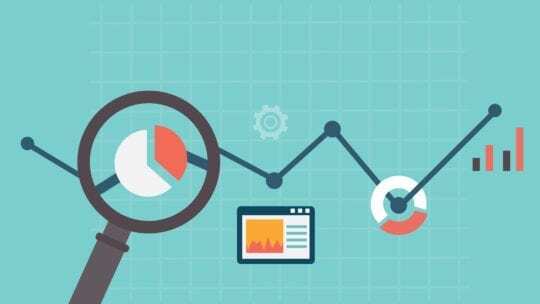 We can pick up the pieces and communicate up smartly, but only if the proper KPIs are determined from a campaign's start. That said, it's PR's prerogative to explain to marketing why impressions are a problematic sole measurement of success—even if we've achieved personal success in our roles around championing impression-bolstered campaigns. "Unless you’re measured by your ability to build a community or go 'viral,'" Stone continues, "impressions alone won’t cut it. Anyone can buy eyeballs. The real power and magic of social media is getting in front of the right eyeballs who then go on to become customers and brand advocates."